More circles cropping up in Marlborough area. said that so far there had been about 12 patterns, more than at the same time last year. hold a mystical key to alleviating some health problems. found in the patterns by researchers. 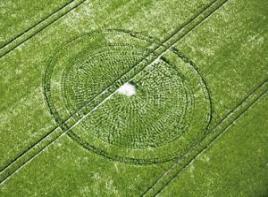 crop circles,” said the author who is also fund-raising for Parkinson’s research. 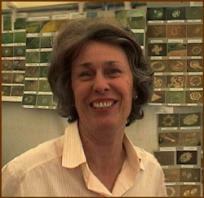 More about her research and the latest crop circles can be found on her website: www.lucypringle.co. shame on you miss Pringle for this vapid new-age twittering! Suggesting people can be healed is a huge fraud! inhibitors and the like that Can damage peoples health. cure for Parkinson's and human-made crop patterns strikes me as being a bit cruel. put together in an attempt to make a serious claim. cutting and pasting from La Pringle's press release!!! please do not make assumptions about people you don't know. how the crop circles are formed. I don't care what she believes, if she thinks that little green men made the crop circles, then so be it.